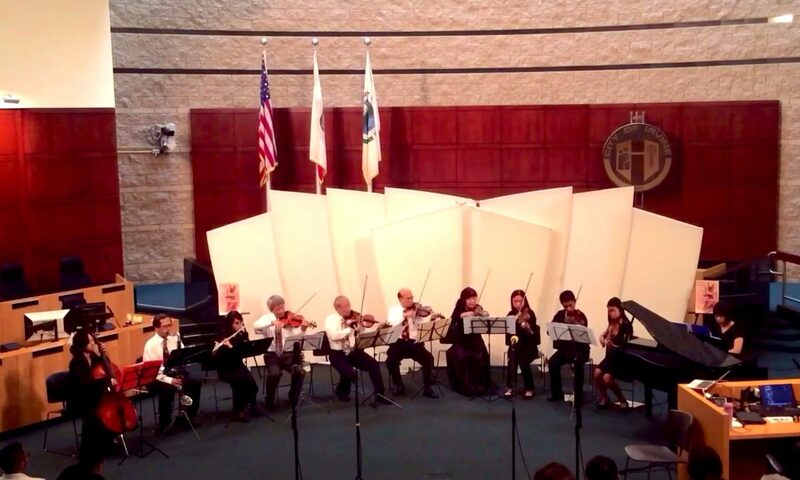 We were invited by OCTA (Orange County Taiwanese Association) to perform at TECRO Orange County Office on May 24, Saturday. This event is to celebrate the Taiwanese American Heritage in a five-week series. This event on May 24 is to celebrate the Taiwanese music, both traditional and contemporary. This is the program flyer. Our Ensemble presented five traditional Taiwanese songs.